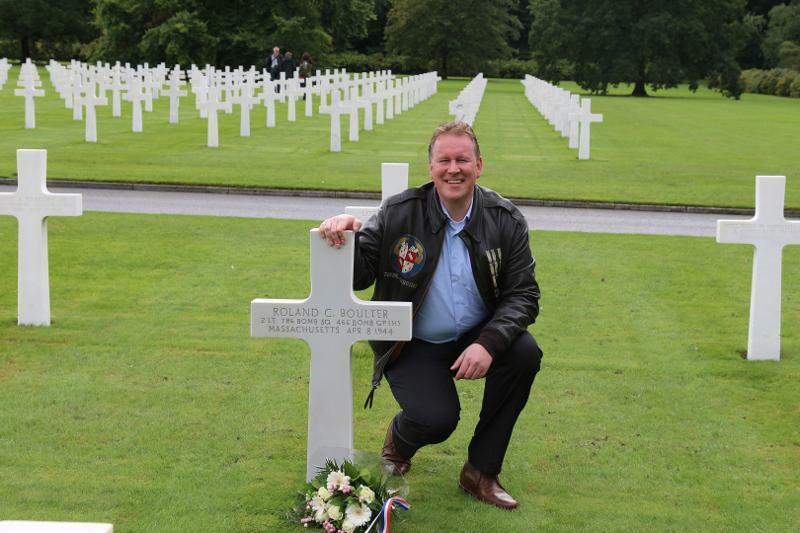 Carlo Kuit has adopted the grave of Roland C. Boulter, Navigator on the Kenneth Kessinger Crew #616 (786th Sq) that was shot down on April 8, 1944 in what was to be one of the worst 466th missions of the war. A total of 6 aircraft were lost. 21 were KIA and 38 were POWs. Carlo writes that there are 5300 military graves in this cemetery in Belgium, and about 65% of them are U.S. Army Air Force. We thank you for remembering and caring Carlo. 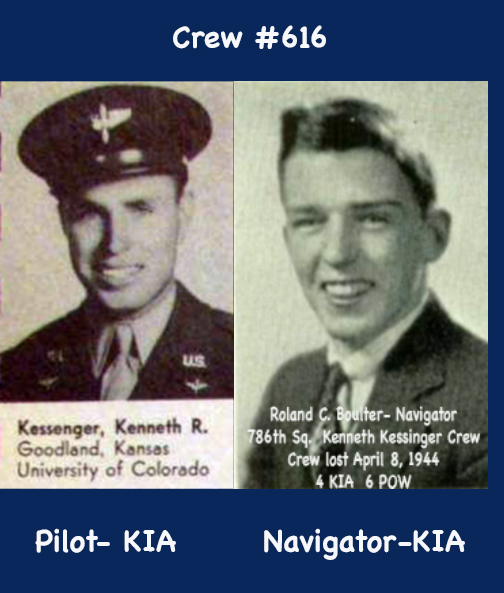 Thanks to Jac Engles for posting this photo of Roland Boulter and Arie-Jan-van Hees for posting the photo of Kenneth Kessinger on Facebook! 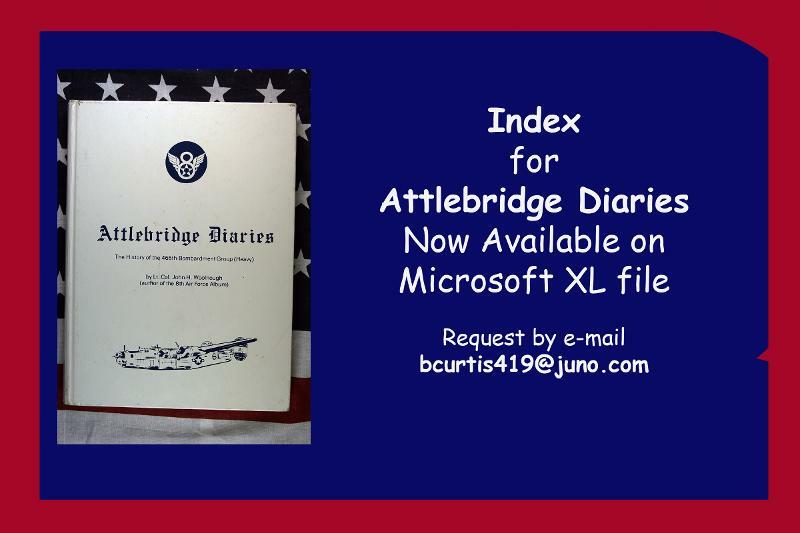 In "Attlebridge Diaries" Claude Meconnis (Co- Pilot-Dike Crew #504) records in his diary "They don't come any harder than the one we flew today to Brunswick, The Jerries threw everything they had at us, fighters and flak, It was the big 'Maximum Effort' raid our operations had long predicted. Well it came today on Holy Saturday. Personally to me it was Unholy Saturday" The mission was delayed by an hour because the bombs had not been ordered right and by the time they were in the air the formation was poor. Prop wash from other wings caused problems crossing the channel. After turning at the IP, Meconnis continues: "when one of the boys began calling 'one-two-three B-24's going Down!' I saw them go down from a group far off on our right, two of them blazing balls of fire and the third sickeningly flopping and spinning down- I couldn't believe my eyes." Netherlands Remembering Our Fallen Heroes. Paul and Eileen donate their time and resources to the upkeep of our 466th Memorial and now at the construction of the Visito Centre. Paul and son, Shaun have found and dug out old bunkers on the old base and dug up all sorts of artifacts. Paul works with Peter Woodcock and Catherine Thomson (not in photo) as Historians and hosts to veterans and families of 466th veterans. 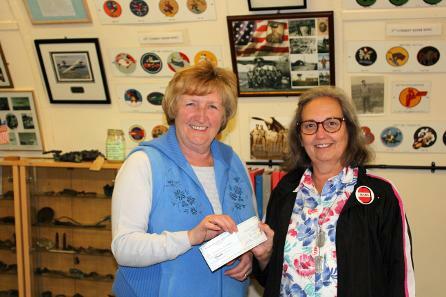 Catherine Thomson is curator and director of the 466th Bomb Group Historical Collection located in Hethel. This photo comes from Jim Melnyk whose father was part of the Engineering group for the 784th Bomber Squadron. Jim is looking for any other information, he might be able to find out about his father. There is another photo of him in front of the B-24 "Cindy". ""My parents have adopted the name of William J. Terry on the wall of missing in Margraten. Heavy, 15 seconds for "Bombs away" over Berlin, Germany. We want to express our gratitude for the people in Europe who are watching over our honored lost airmen and for preserving the memory of their lives and service. They truly understand that Freedom is not free. The American Air Bases were named for the closest village with a railroad station. 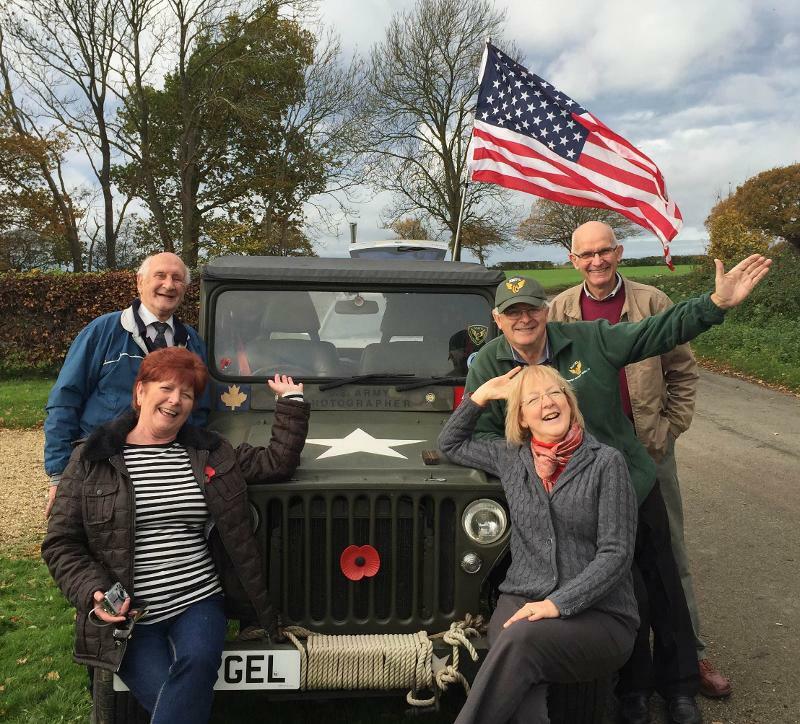 The Village of Attlebridge is 8- 10 miles from the base and the airmen spent most of their off duty time in the village of Weston-Longville located within a mile of the airfield.